The Trust’s director of external affairs Jane Tully blogs about the Trust’s Innovation Grants programme and the three new projects that will be supported over 2017/18. 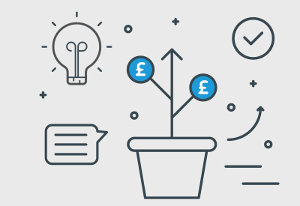 Alongside the work that the Trust does to support people and small businesses to deal with their debts through National Debtline, Business Debtline and Wiseradviser, we are also proud of another, smaller, branch of our work – the Innovation Grants Programme. Now in its sixth year, the programme has already supported 29 grassroots projects across the UK to deliver money and debt advice, often in less conventional ways and serving groups that can sometimes be harder to reach through traditional advice channels alone. These projects have ranged from a toolkit developed by Behaviour Change, using nudge theory to help housing association clients engage in the advice process, to Liverpool CAB working with deaf and blind clients to enable them to make informed choices with money through tailored access to financial capability topics. Through this project, the Mary Ward Legal Centre hope to build the financial health of their clients who have English as a second language in London. The materials they create and develop will also be made available to other advice centres and community organisations working with people who have English as a second language. Each of these projects will be tackling the challenge of engaging different groups by trying new approaches – and the Innovation Grants programme gives them the flexibility to do this. In addition to the benefits that projects like these bring directly to the individuals they work with, the debt advice sector benefits more broadly from understanding the learnings from their work. We are particularly looking forward to being able to share the findings from these projects with colleagues in the future.